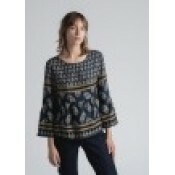 La Fee Maraboutee - Paisley Print Blouse This paisley print blouse has long flared sleeves, a frill.. 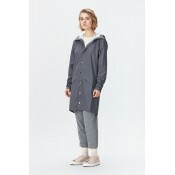 RAINS Curve Jacket Danish RainCoat RAINS’ Curve Jacket is a classic yet practical women’s rain jack.. RAINS Long Jacket Danish RainCoat RAINS’ Long Jacket is a longer version of the urban Jacket and bo..
Save The Queen Shirt 101..
Save The Queen T Shirt 6008..
Save The Queen T Shirt 6033..
AJ. 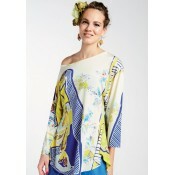 117 Project Sheens Shirt Sheena is a part of our Essentials Collection. It's a fine long shirt ..
Kyra & Ko Nora Soft Scuba Jacket This short jacket from van Kyra & Ko combines a classic s..